Anyone paying even the slightest bit of attention to social media relating to Australian craft beer this year may have noted something of a common thread throughout the photos being posted from festivals, beer weeks and various other events. 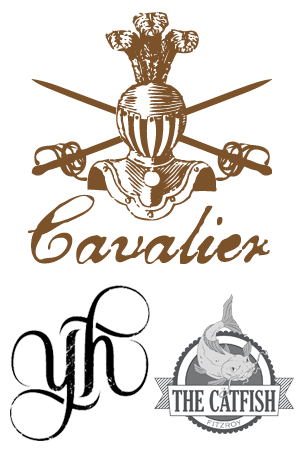 Almost without fail, Cavalier's co-founder and marketing sensei Heath Cavalier would be there, grinning away (as anyone at every party in town should be), as he put his body on the line to spread the Cavalier love around the country. With fellow brewery members joining him at times, the travels have led to the occasional collaboration, among them one with Newtown's Young Henrys and one with a rising star of the Melbourne bar scene, The Catfish. The former is the sort of wild thing one might expect from two breweries populated with colourful characters: ‘I Can’t Believe It’s Not Galaxy’ is a "passionfruit sour". According to Crafty Pint NSW it's "really murky, really passionfruity and really sour", which would suggest this 2.4 percent drop has achieved what the brewers set out to achieve. As for The Cavalier Catfish, it's set to debut at the venue's first birthday bash, where it is the star of an around Fitzroy and Collingwood "Poker Bar Game" (see the Events Diary) and pouring at five venues. It's an imperial pilsner in which we're told "all the hops are doing their thing nicely".